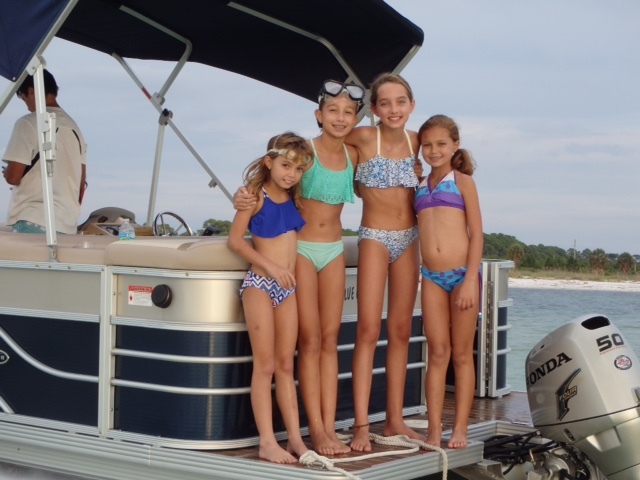 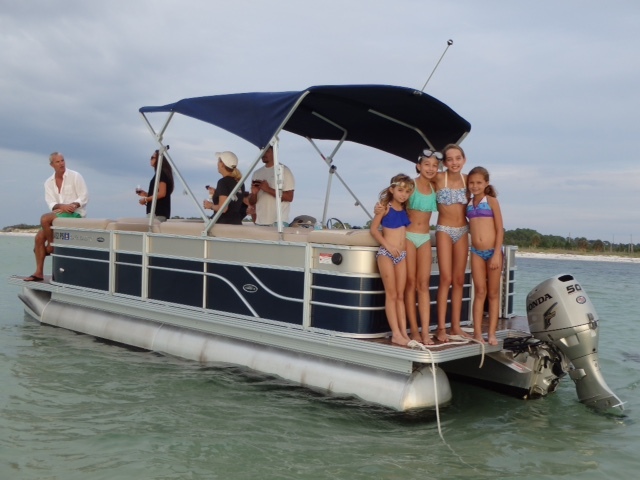 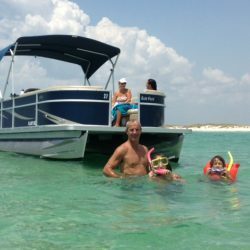 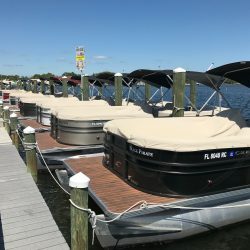 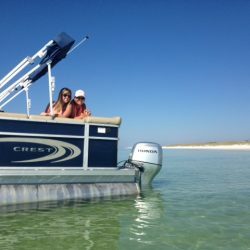 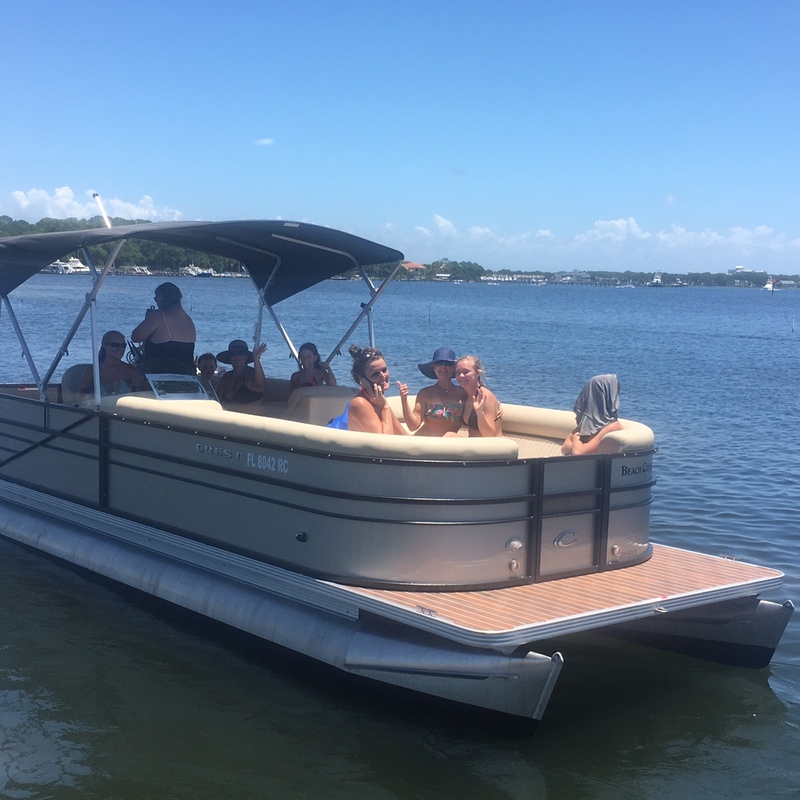 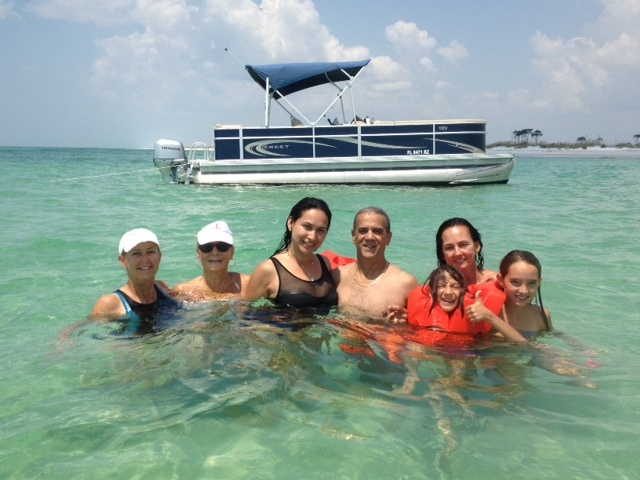 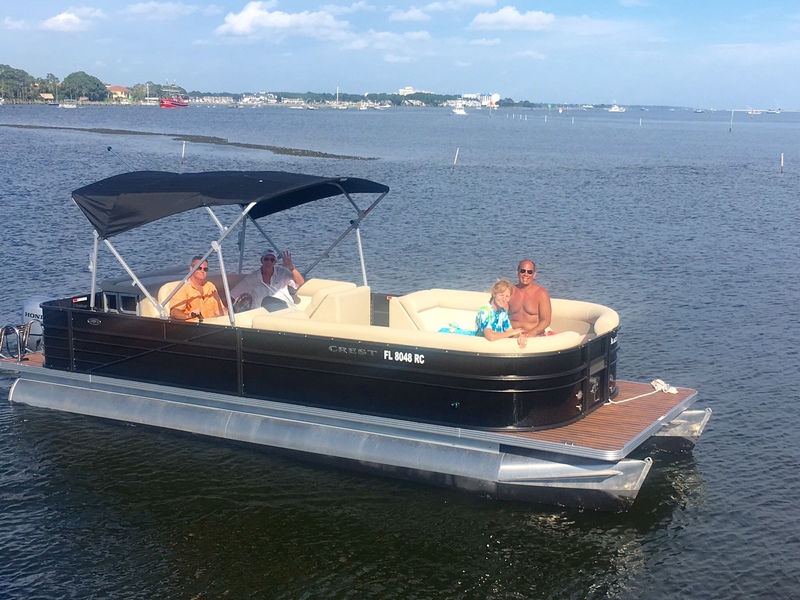 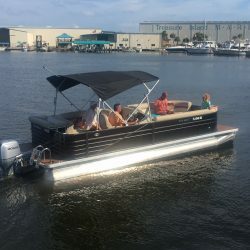 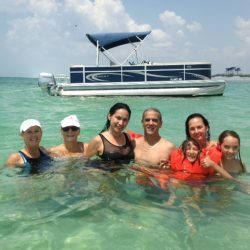 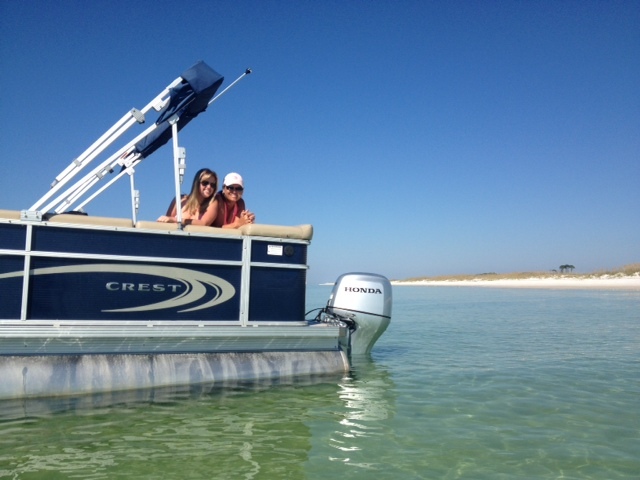 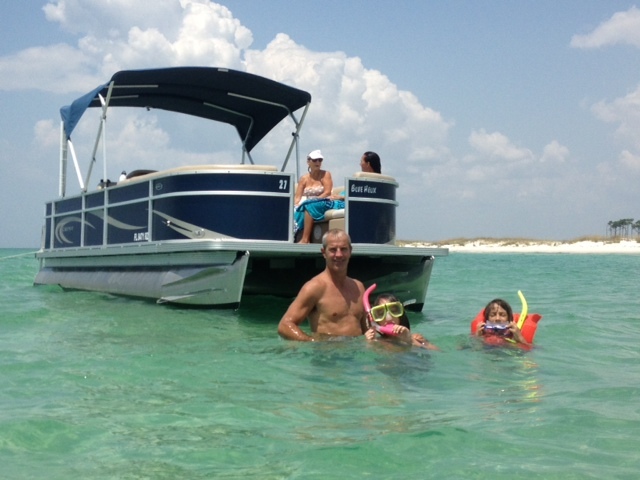 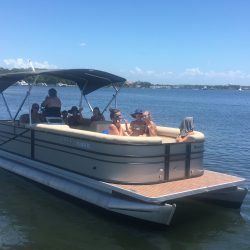 Our premium pontoon boats are BRAND NEW, top of the line Crest luxury pontoon boats. 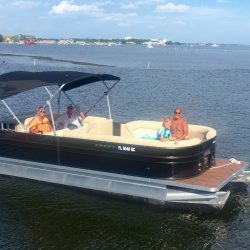 They have upgraded stereo systems with Bluetooth functionality. Our new boats have ultra-plush seating and tilt steering. 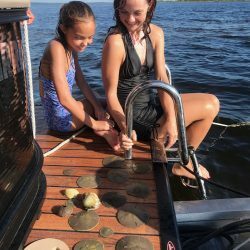 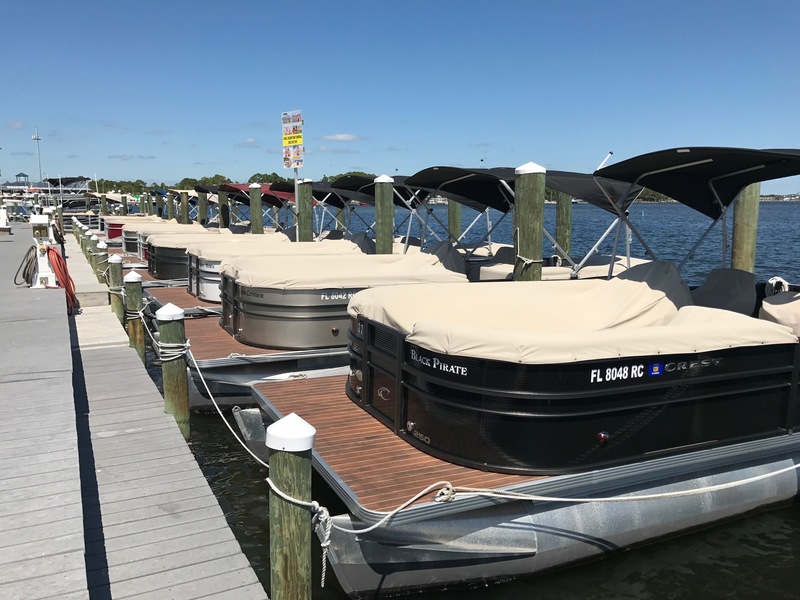 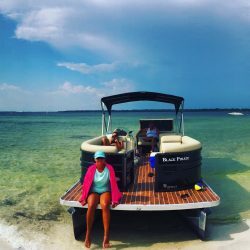 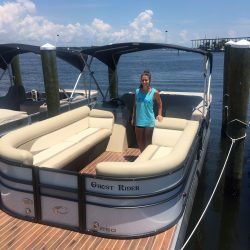 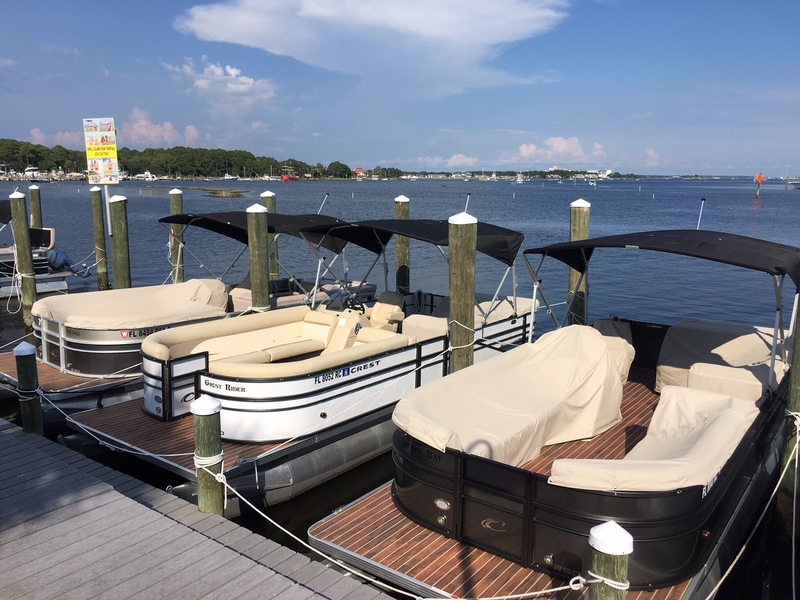 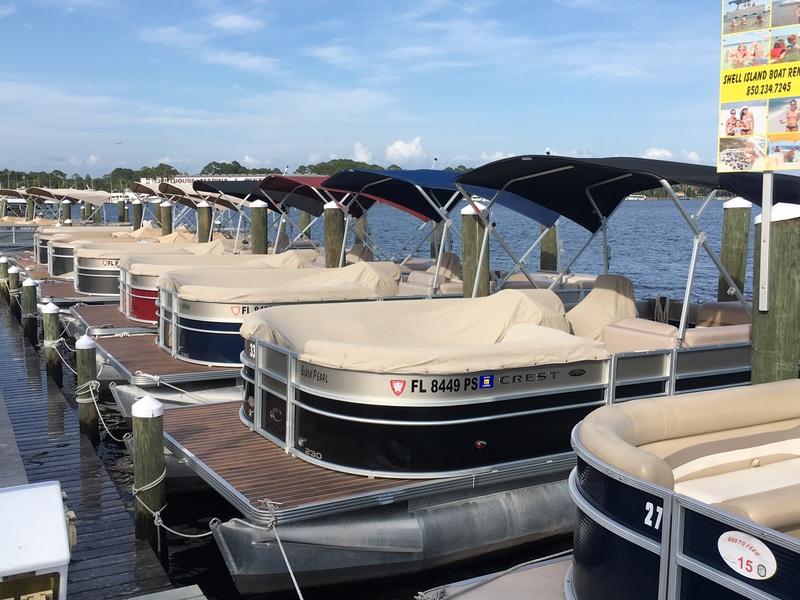 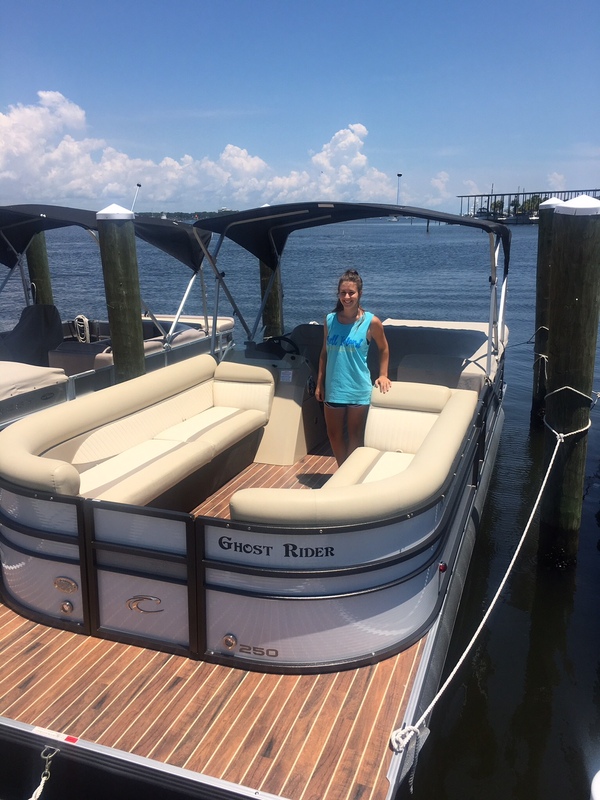 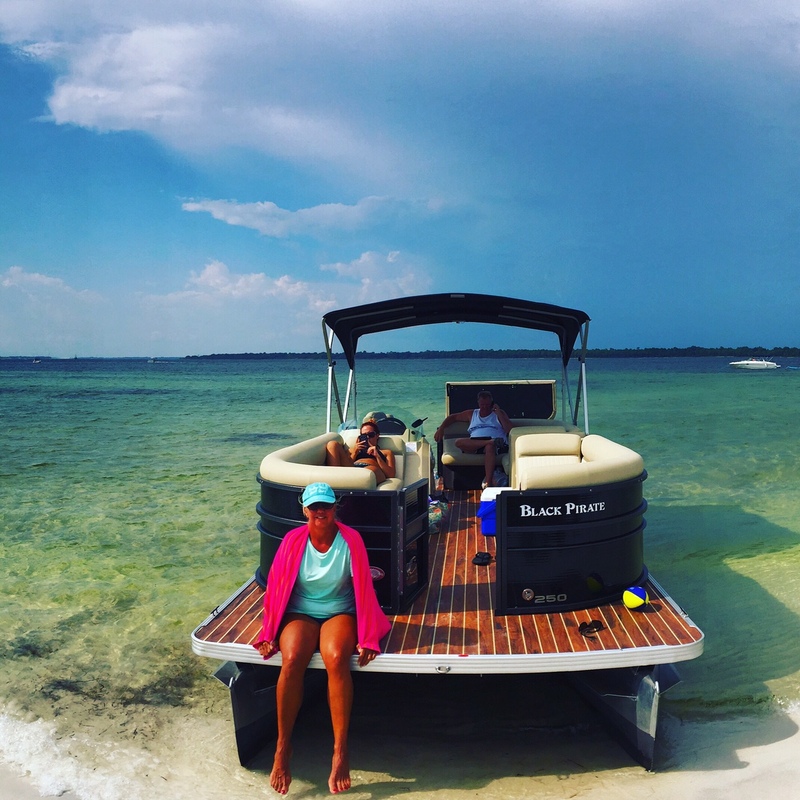 Our premium pontoons let you explore the bay of Shell Island in style. 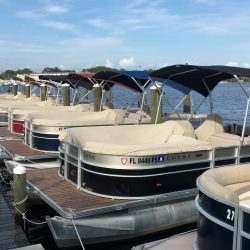 These are the best boats in the marina! 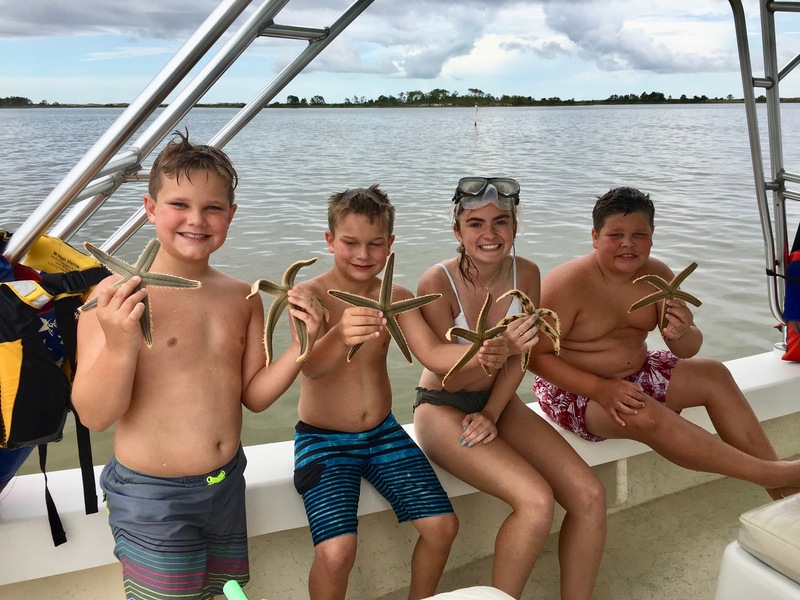 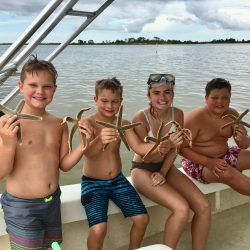 With the east end of Shell Island just 10 minutes away from our rental location, you will have more time to explore St. Andrews Bay, cruise around Shell Island, and encounter the dolphins. 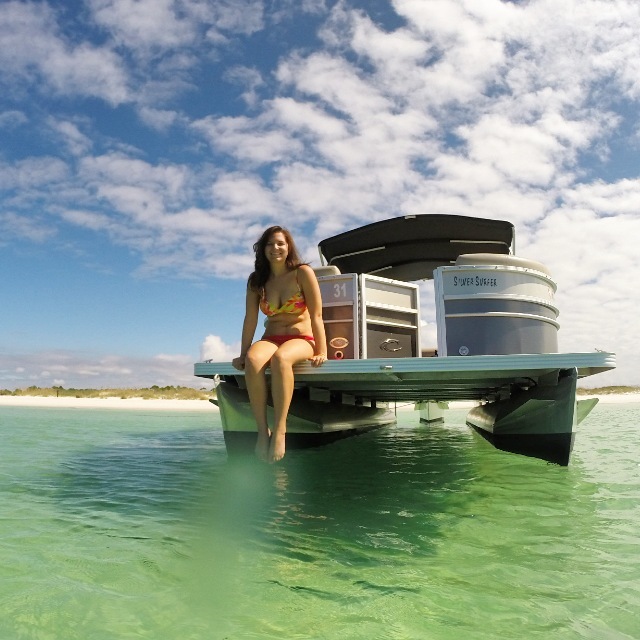 Other Features: Cooler storage, bimini tops, luxury stainless steel boarding ladders. 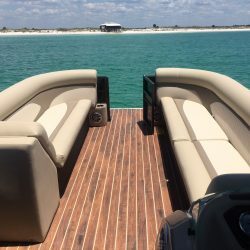 Beautiful appointments and flooring throughout. 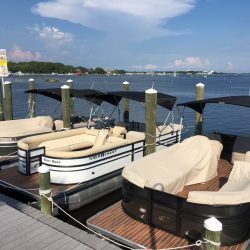 Powder coated railings, 30oz marine grade seating. 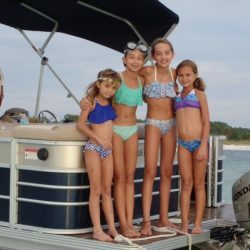 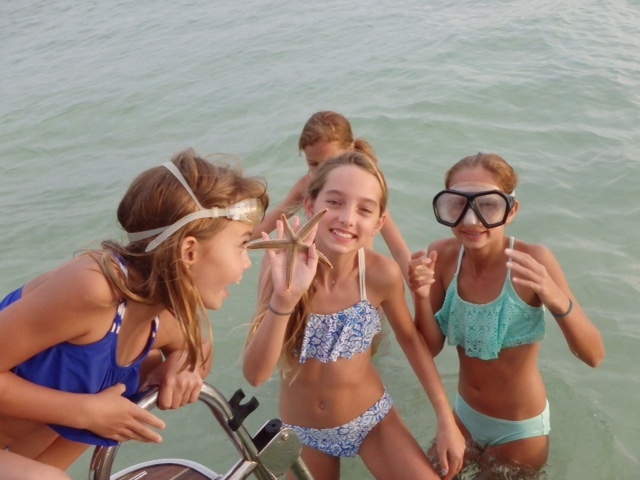 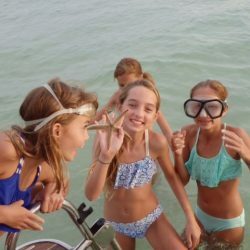 Our boat safety features include: Life jackets for everyone onboard (including small children), fire extinguisher, flares, throwable cushion life preserver, and whistle. 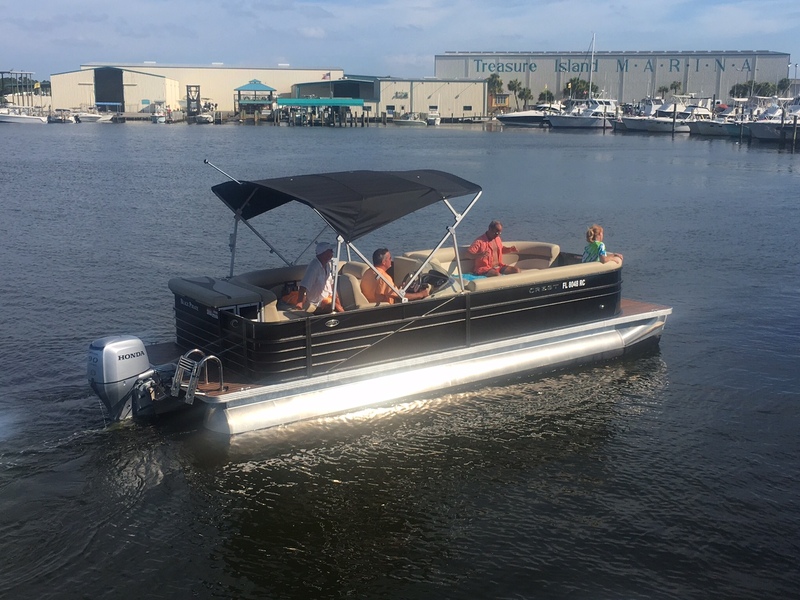 Our 4-stroke Honda motors are extremely fuel efficient, professionally maintained, very quiet running, and incredibly reliable.